Pets are expensive. Next to “being a big responsibility,” the expense was one of the main reasons my parents didn’t want to get me a dog when I was six. It was also why they tried to convince me not to adopt a dog 15 years later. Living in the city has introduced additional expenses to the costs of keeping a dog, but I’ve found a number of ways to spend less. The word “flea” is enough to raise the hair on any dog owner, but when it comes to finding expensive dog essentials, flea markets and yard sales are a blessing. Big one-time items like dog crates can cost as much as $100 at a pet store, and most people think they’re saving by paying slightly less for them online. But I halved those prices by buying gently used dog crates at flea markets and yard sales. A medium double-door crate cost me $22, which I haggled down from the seller’s original $30 price. After a good disinfecting, it was good as new. Many young adults are moving to Philadelphia to escape the suburbs, but living in small-town America has its perks. Dipper’s dog food, which costs $17.95 per bag at a city pet boutique, is about $5 cheaper at the pet store in my South Jersey hometown. For even cheaper prices, Delaware boasts sales tax free shopping. It may not be cost efficient to make a habit of traveling that far for dog food—especially if you don’t have a car—but it’s worth considering for expensive medications, one-time items like dog crates and carriers, or even if you plan to stock up in bulk on food and treats. Whenever I visit my parents, I bring back a surplus of dog food. The suburbs are also a great place to find those yard sales and flea markets. Grab a friend with a car and make a day of your trip out of the city! Craigslist, a direct-from-seller forum for buying and selling just about anything, has provided an entirely new marketplace for pet owners. However, some are wary of the site’s anonymous nature. To remedy this, users of social media like Facebook have created their own groups where area locals can search for or advertise items. Think of it as an online yard sale, but just for pets! Bucks County/Philadelphia Pet Supplies Yard Sale is one such group. You don’t necessarily have to buy everything. You can make your own treats, toys, and bedding right at home. Pinterest is a great resource for doggy DIYs, from homemade peanut butter treats to denim chew toys. With homemade goods, you have the added benefit of knowing exactly what your pet is munching on. I’ll be posting some of my own projects here on the site! 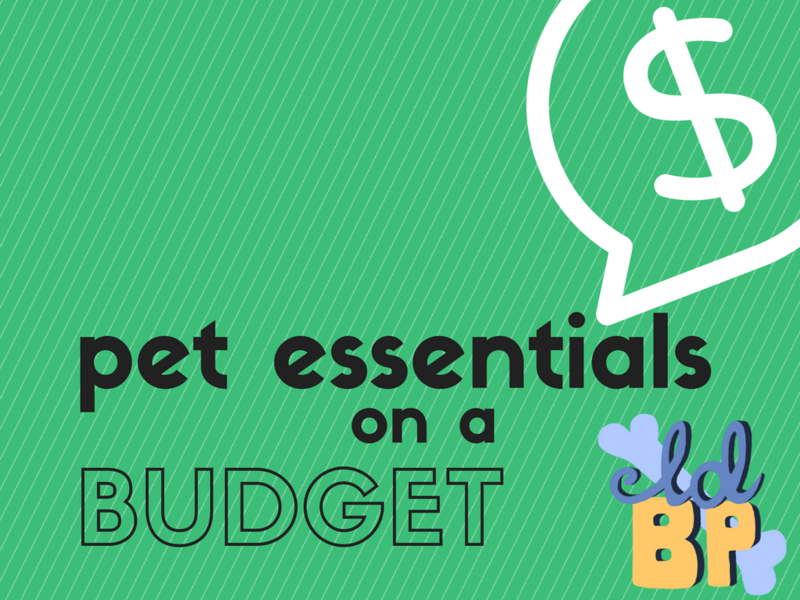 How have you saved on your petcare costs? Let us know in the comments below! I love reading your posts simply because one, I find your dog so freaking adorable! & two, I love your word choice and the way you bring a fun, playful personality to your posts. Great job! That means a lot! We really appreciate it. I told Dipper what you said, and he sneezed. I’m going to go ahead and assume that means thank you!